Home » Answers to Jehovah’s Witnesses » Is the Trinity a pagan doctrine? Is the Trinity a pagan doctrine? Summary: Jehovah’s Witnesses teach that the Trinity is an apostate doctrine borrowed or adapted from pagan religious beliefs in triads of gods. However, the doctrine of the Trinity owed nothing to pagan triads of deities and was formulated by Christians on the basis of the teachings of Scripture. Over the years, the Watchtower Society has quoted from a wide array of publications that agree, or that appear to agree, that Trinitarian theology originated from paganism. Second, the Watchtower Society has blamed the influence of pagan Greek philosophy for the development of the doctrine of the Trinity. In one article, for example, the Society criticizes the term homoousios (“of one substance”) in the Nicene Creed as an “unbiblical Greek philosophical term.”4 Here again, the Watchtower frequently quotes from a variety of publications to marshal apparent scholarly support for their criticisms of the doctrine of the Trinity. We will examine an example later in this article. Jehovah alone is the Father, the Almighty God. He alone has always existed without beginning. Christians should pray to Jehovah the Father only, never to Christ. Jesus Christ, before his human life on earth, existed as a created angelic being, the first and only direct creation by Jehovah God. This “firstborn son” of Jehovah was Michael the archangel.6 After Jehovah made Michael, he authorized him to make the rest of the world and the creatures in it by Jehovah’s power and design. Michael’s life force was transferred into the human organism of Mary’s son Jesus. After Jesus died, he was re-created by Jehovah as a spirit or great angel again. Jesus Christ was and is “a god,” a divine being, but not God. There is no person called the Holy Spirit. Rather, Jehovah God has an invisible, active force that the Bible calls spirit or holy spirit. Jehovah uses this active force to exert his power and influence throughout the world. 1. There is one God, Yahweh (Jehovah), who alone is the creator and maker of everything else. The fundamental doctrine revealed in the Old Testament is that one God, called Yahweh (Jehovah, the LORD), created all things. “In the beginning God created the heavens and the earth” (Gen. 1:1). In Isaiah, Yahweh says, “I am Yahweh, who made all things, who alone stretched out the heavens, who by myself spread out the earth” (Is. 44:24). Yahweh was not simply the architect of creation, but its only creator and maker. In contrast to the popular pagan religions of the time that credited a group of deities with making the world, the biblical prophets in Israel clearly taught that one God had made everything (see also Neh. 9:6; Ps. 102:25; Isa. 37:16; 40:25-26; 42:5; Jer. 10:16; 51:19). The New Testament affirms this basic biblical doctrine that one God “created all things” (Rev. 4:11; see also Acts 4:24; 14:15; 17:24). On the basis of his being the sole creator of heaven and earth, the Bible insists that Yahweh is the only true God. “To you it was shown, that you might know that Yahweh is God; there is no other besides him…. Yahweh is God in heaven above and on the earth beneath; there is no other” (Deut. 4:35, 39; see also 1 Kings 8:60; Isa. 45:18-22). As Jeremiah put it, “Yahweh is the true God; he is the living God and the everlasting King…. The gods who did not make the heavens and the earth shall perish from the earth and from under the heavens” (Jer. 10:10, 11). When Gentiles came to faith in Christ, they accepted this belief in one true God as they “turned to God from idols to serve the living and true God” (1 Thess. 1:9). Jehovah’s Witnesses actually deny this biblical understanding of monotheism in their doctrine of Christ by claiming that he was a created angel who created everything else. 2. The Son, who became the man Jesus Christ, is himself eternal God. We have already given quite a bit of attention to the Watchtower’s doctrine about the person of Christ, as we should considering the centrality of Christ to the New Testament. The Watchtower erroneously teaches that Christ was God’s first creature and the only creature that God made directly or immediately. After he made Christ, Jehovah supposedly empowered and instructed him to make the rest of creation as Jehovah’s assistant. We examined the biblical texts that the Watchtower misuses to support this doctrine and showed that the Bible teaches no such thing. We also explained why it is erroneous to identify Jesus as Michael the archangel. The New Testament reveals the deity of Christ in numerous ways. We are to honor the Son just as we honor the Father (John 5:23). This means worshiping Christ along with all of the angels and redeemed peoples of the world (Heb. 1:6; Rev. 5:14), praying to Christ (John 14:14; Rom. 10:12-13; 2 Cor. 12:8-9; Rev. 22:20-21), and showing him the same “fear of the Lord” as the Old Testament says we should show toward Yahweh (Eph. 5:21; 1 Peter 3:14-16; see Prov. 1:7; Isa. 8:12-13). He is eternal or uncreated (John 17:5; Heb. 7:3), immutable or unchanging in his divine nature (Heb. 1:10-12), omnipresent (Matt. 18:20; 28:20; Eph. 4:10-11), and possesses all of the other attributes of God (Col. 2:9; Heb. 1:3). He is the King of kings and Lord of lords (Rev. 17:14; 19:16; see Deut. 10:17; Psa. 136:2-3) and the Savior of the world (John 4:42; Titus 2:13; 2 Peter 1:11; 1 John 4:14). He speaks with divine authority (Matt. 24:35; Luke 4:32; John 4:26), so that his word is the “word of the Lord” (Acts 8:25; 13:44, 48-49; 1 Thess. 4:15). He forgives sinners of all their sins (Matt. 9:1-8; Acts 5:31; Col. 3:13). Along with the Father, Christ the Son is the source of all spiritual blessings (Eph. 1:2-3; 1 Tim. 1:2; 2 John 2; Rev. 1:4). He sits on the very throne of God, ruling forever over all creation (Rom. 8:34; Eph. 1:19-22; Heb. 1:2-3, 8; Rev. 22:1, 3). When all of these aspects of New Testament teaching are considered together, the conclusion that the authors considered Jesus Christ to be God is overwhelming. 3. The Holy Spirit is a divine person distinct from the Father and the Son. Just as there is very little in the Old Testament that refers explicitly to the Son as a divine person distinct from the Father, there is also very little if anything in the Old Testament that reveals the Holy Spirit to be a distinct divine person. In fact, the Old Testament has relatively little to say about the Spirit as compared to the New Testament. There are less than a hundred references to the Spirit in the whole Old Testament, whereas in the much shorter New Testament there are roughly 270 references to the Spirit. Most likely, the Old Testament did not speak clearly about the Father, Son, and Holy Spirit as distinct persons because its focus was on teaching Israel to believe in and worship the one God who made and rules the world, a notion that cut across the grain of their polytheistic civilization. As we saw in our article on the Holy Spirit, the New Testament provides a much richer revelation of the Holy Spirit. Just before his crucifixion, Jesus himself revealed to his disciples the existence of the Holy Spirit as a distinct divine person like himself (John 14–16). His promise concerning the coming of the Holy Spirit was fulfilled in the early church as reported in the Book of Acts (e.g., Acts 1:8; 5:32; 8:29; 10:19-20; 13:1-4; 15:28; 16:6-7; 20:28; 21:11). 4. The Christianity of the New Testament is Trinitarian in structure. As every Jehovah’s Witness knows, the word “Trinity” is not in the Bible. However, the idea arises from everything that the Bible, especially in the New Testament, says about the Father, Son, and Holy Spirit. We see this not just in various passages that talk about the deity of Christ or the person of the Holy Spirit, but in a pervasive pattern throughout the New Testament in which the three persons are presented alongside one another as divine. There are too many examples to list them all here; we will look at just a few of the more telling. After his resurrection, Jesus commissioned his disciples to take the gospel to all nations, telling them to baptize people “into the name of the Father and of the Son and of the Holy Spirit” (Matt. 28:19). Jehovah’s Witnesses are taught that this statement means that people are to be baptized in the name of Jehovah the Almighty, his first created angelic son, and his invisible active force. This highly implausible interpretation completely breaks down with regard to the Holy Spirit, whom the Watchtower denies is even a person. The text makes much more sense as meaning that new disciples are to be baptized in the name of the three divine persons called the Father, Son, and Holy Spirit. “Now there are varieties of gifts, but the same Spirit. The doctrine of the Trinity is not a pagan doctrine in any sense. No pagan religion ever taught any doctrine that even resembles the doctrine of the Trinity except in the most superficial manner. The church fathers who developed the formal, systematic doctrine of the Trinity from the second to the fourth centuries were Christians, in some instances eventual martyrs for their faith, who were zealously seeking to uphold the teachings of Christ and the apostles in the New Testament. In formulating the doctrine of the Trinity, the early church established a view of God that was radically opposed to Greek philosophical notions about the divine. In doing so, they naturally used language and categories of their Hellenistic culture to express what the New Testament teaches. They could not do otherwise, just as we cannot avoid speaking in modern Western cultural terms (such as “relationships” or “individuals”) when explaining what we understand the Bible to teach on this subject. Far from being a pagan doctrine, the Trinity is the distinctively Christian conception of God as he has revealed himself in the New Testament in the persons of the Father, Son, and Holy Spirit. 1. Reasoning from the Scriptures (Watchtower, 1995), 204. 2. Real Faith—Your Key to a Happy Life (Watchtower, 2010), 24. 3. “Do You Appreciate Our Special Heritage?” Watchtower, 15 Feb. 2013, 9. 4. “Should You Believe in the Trinity?” Awake! Aug. 13, 2013, 12. 5. “Do You Appreciate Our Special Heritage?” Watchtower, 15 Feb. 2013, 9; the substance of this material is repeated later in the study question-and-answer part of the article (11). 7. I have discussed several examples in a series of recent articles: “S. H. Hooke: A Sumerian or Babylonian Trinity?” (2014); “Levi Paine and the Evolution of Trinitarianism” (2014); and “Lyman Abbott’s Dictionary on the Trinity” (2017). 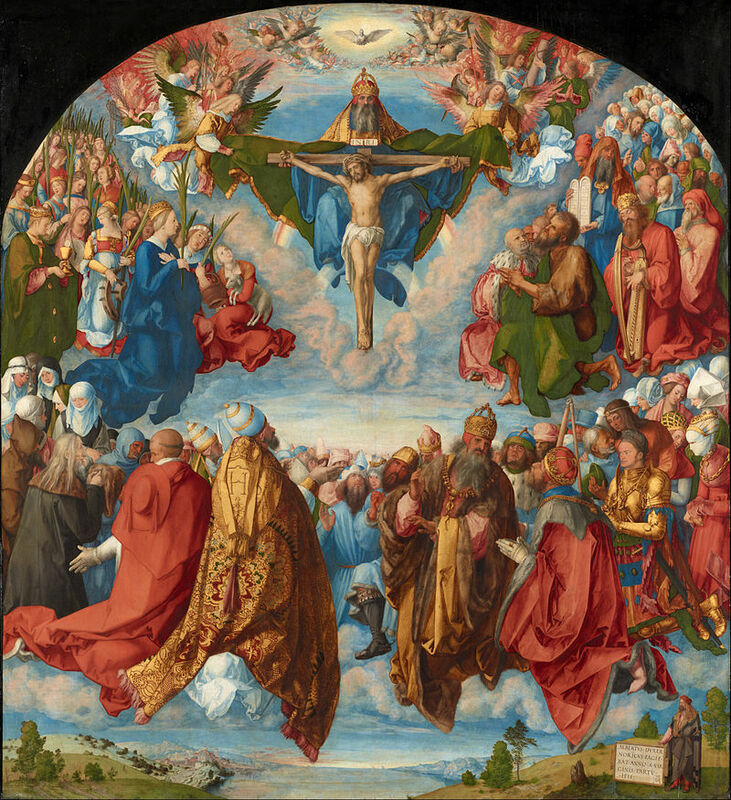 These articles, among others, can be found at “Scholarly Sources Quoted Out of Content on the Doctrine of the Trinity” (Cedar Springs, MI: Institute for Religious Research). I considered additional examples in an earlier work, Why You Should Believe in the Trinity: An Answer to Jehovah’s Witnesses (Grand Rapids: Baker, 1989). 8. “Fate,” in Reasoning from the Scriptures (Watchtower, 1995), 144–45, quoting Encyclopaedia Britannica (1911), 2:796. 9. Benjamin Breckinridge Warfield, “The Biblical Doctrine of the Trinity,” in Biblical and Theological Studies, ed. Samuel G. Craig (Philadelphia: Presbyterian & Reformed, 1968), 23 (22–59). This essay was originally published in 1915. 10. “The Paradox of Tertullian,” Watchtower, May 15, 2002, 31. 11. Harold O. J. Brown, Heresies: The Image of Christ in the Mirror of Heresy and Orthodoxy (Grand Rapids: Baker, 1984), 146. The book was later published with the title Heresies: Heresy and Orthodoxy in the History of the Church (Peabody, MA: Hendrickson, 1988). 12. Some readers may be interested in the author’s multi-page resource, “The Biblical Basis of the Doctrine of the Trinity: An Outline Study” (Cedar Springs, MI: Institute for Religious Research, 2011). 13. For a much more detailed study on this subject, see Robert M. Bowman Jr., “The Personhood of the Holy Spirit in John and Acts: A Narrative Approach” (Cedar Springs, MI: Institute for Religious Research, 2014). 14. See further Robert M. Bowman Jr., “Triadic New Testament Passages and the Doctrine of the Trinity,” Journal of Trinitarian Studies and Apologetics 1 (Jan. 2013): 7-54.